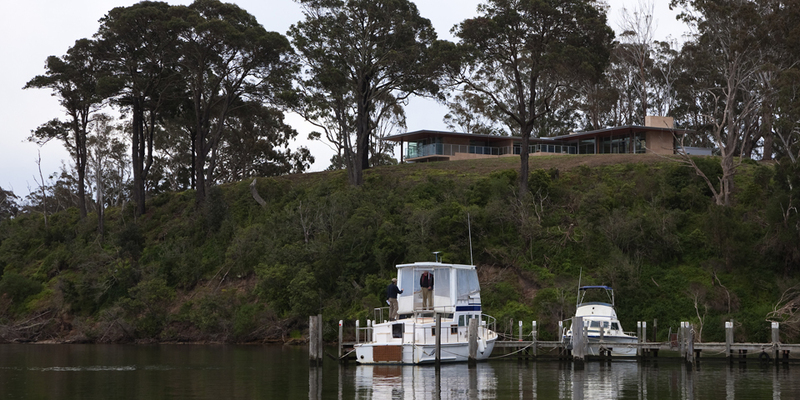 The house occupies a prominent site in Metung with views overlooking Bancroft Bay to the south Chinaman’s creek and Bells Point to the East. 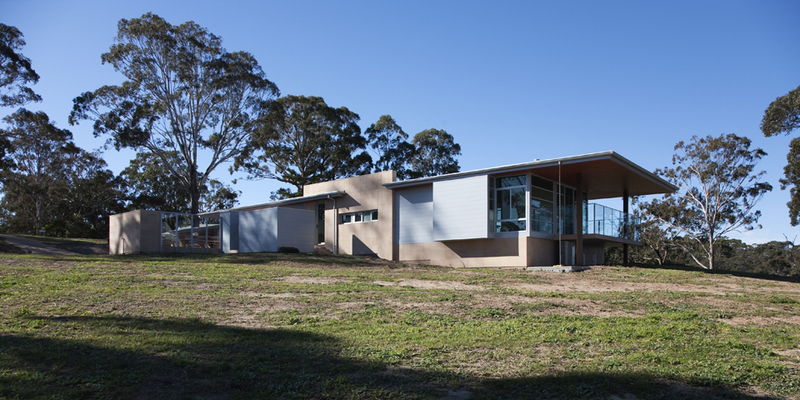 The house has a design philosophy based on solar gain and transparency. 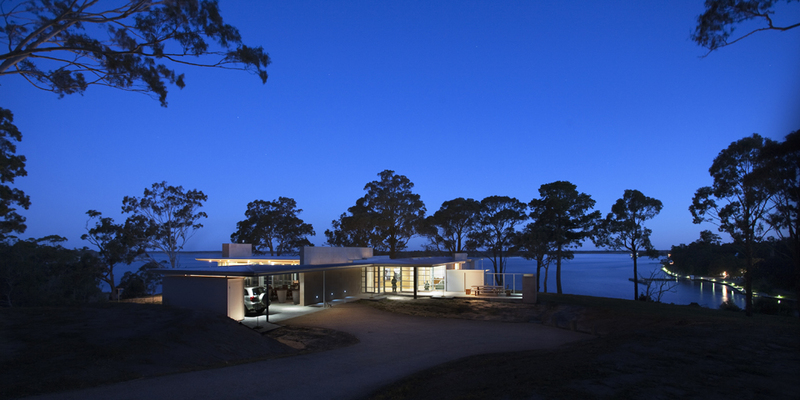 Fundamental to the design is to maximise the experience within the house of the natural landscape beyond. 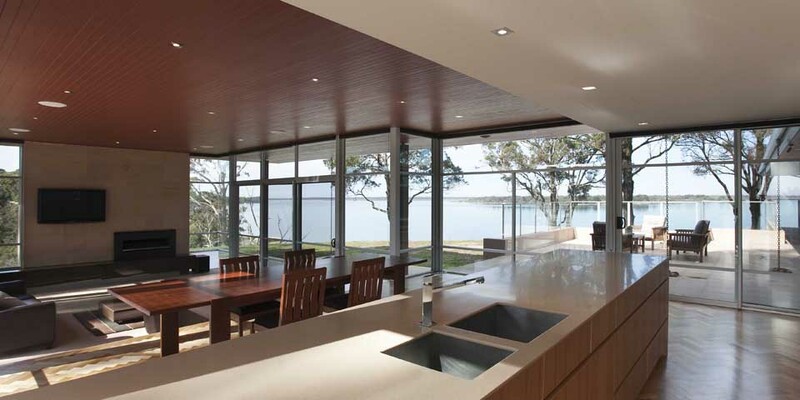 This is achieved through transparency and extensive overhangs, while the living room is designed to open up and create a sense of bringing the outdoors in. 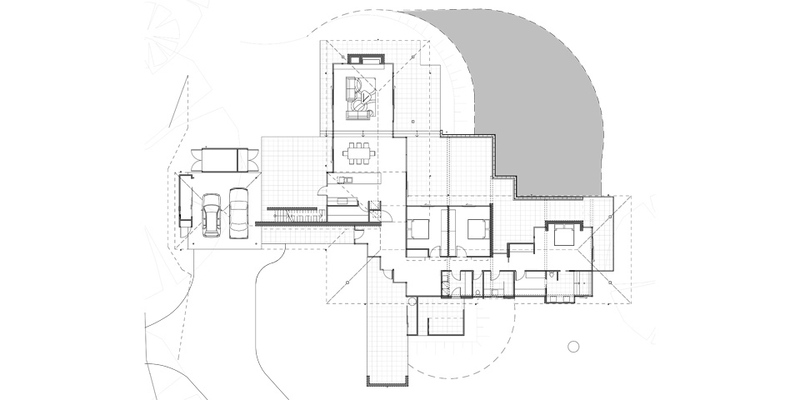 Corridors are designed to provide vistas, which assist in attaining visual transparency through the house. 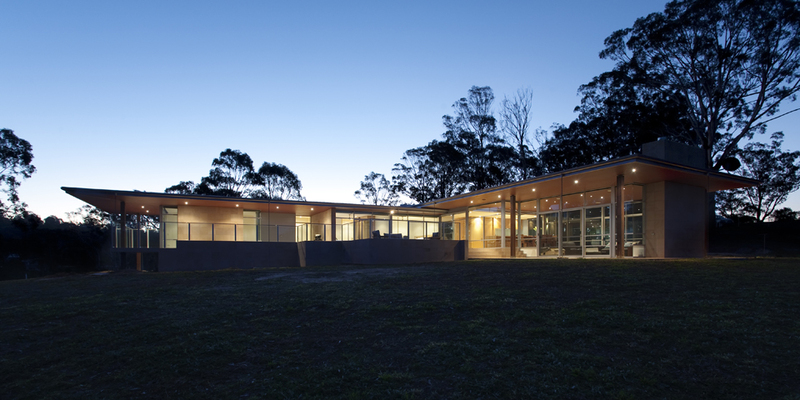 Modern yet reserved, a simple L shape design presents a home that appears larger than its actual size through extensive overhangs and the expression of fine roof lines that allows the building to sit inconspicuously in the landscape despite it’s prominent psoition. The materials used throughout are earthy tones and natural materials. 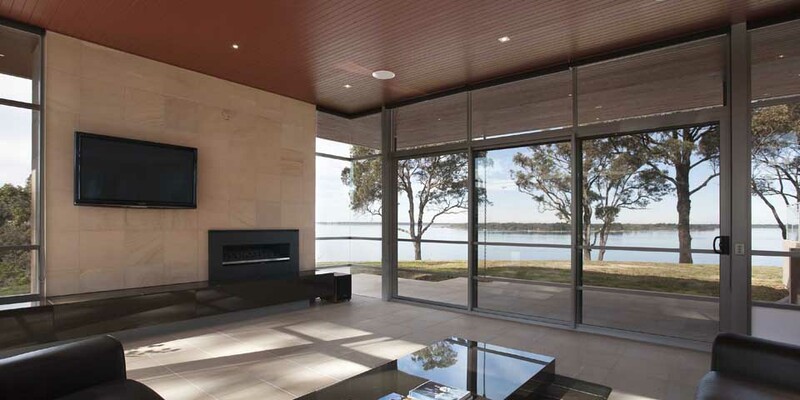 The exterior wall are clad in sandstone, with matching sandstone paving. 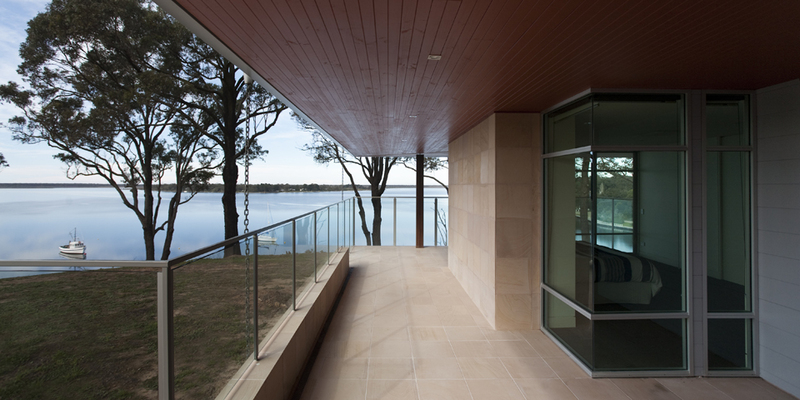 The soffits are timber lined and full height aluminium windows frame the views. 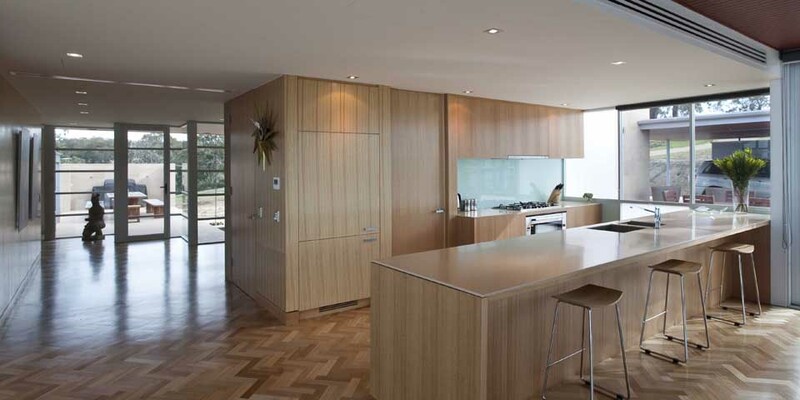 Internally the main lounge and kitchen area have timber parquetry floors with timber veneer joinery and stone benchtops. 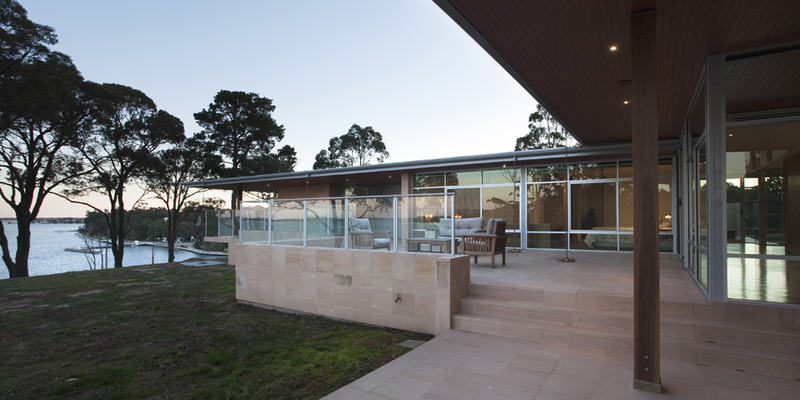 The external sandstone paving and timber soffits continue into the main lounge area, blurring the definition between inside and outside. All of the rooms benefit from natural light with full height windows that are shaded from the summer sun with deep eaves. 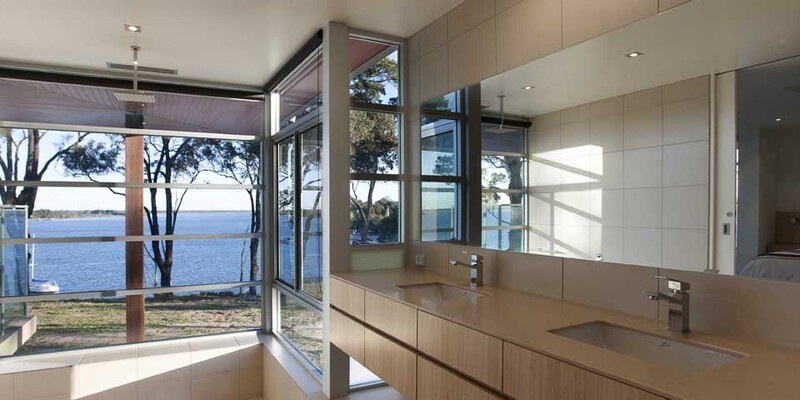 There is a large external entertaining area that the bedrooms and lounge face on to that takes in the panoramic views of Bancroft Bay and the ocean in the distance.